Sky-High has combined experience with innovation producing functional, large-scale, engaging mobile and responsive web designs with top notch quality. Our process helps to uncover the characteristics of your users by learning about their needs, wants, and limitations and even converting them your way. We make product strategy that helps your project surpass the competition and return investments. We dive into your business model, market challenges, and product positioning, helping you create a product that delivers unique value. On one side it allows the team to get a better understanding of the customer's business processes and get closer to the specifics of his company, on the other hand, it helps the customer to test the viability of the idea or startup and save a decent amount of time and budget. Sky-High is very committed in helping its clients reach their business goals smoothly, by providing an innovative environment, and making a difference adding value to our clients' businesses. The first step is a careful analysis of the basis of the project. We study current market conditions and business expectations. In our opinion, the fundamental issue is to aptly define the needs of your users and customers' expectations. You can see a detailed and clear picture of how your application will look like and behave when its finally developed. Ability to identify and eliminate problem areas in the future solution early in the prototyping stage avoiding mistakes pile-up at the later full-fledged development stage and their costly fixes. 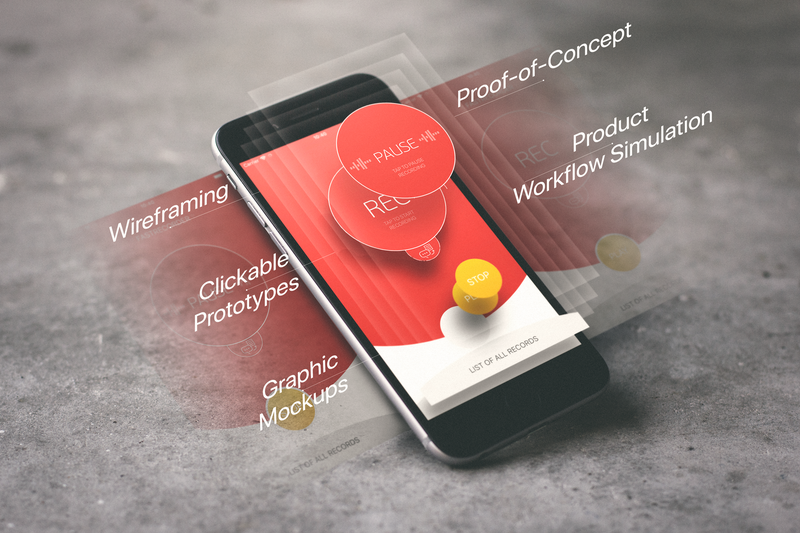 A clickable prototype helps to test the idea of the project in focus groups before starting the most expensive parts of the work like coding and quality assurance. Interactive prototype makes it possible to clarify the technical specification before development. Why Product Prototype with Sky-High? Many times, a lot of brilliant ideas fail to raise funds or even interest from their prospective stakeholders. This is primarily because of the lack of an underlying prototype. 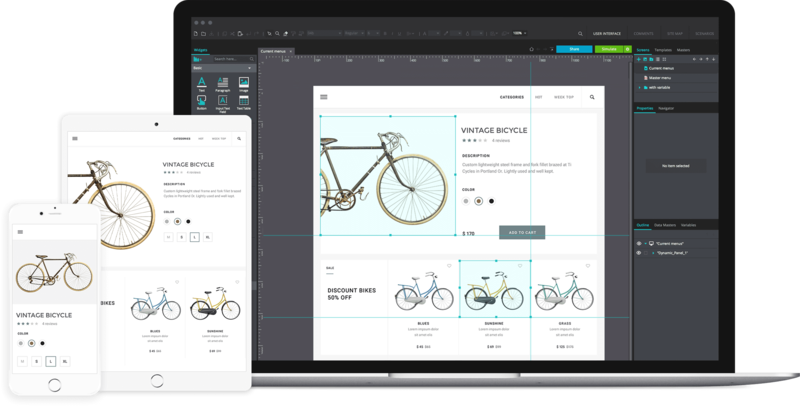 Sky-High has an expedite prototyping service, where we can design a functional and/or a non-functional prototype (wireframes) for your application, according to your requirements. This prototype can help you double-check your idea implementation, and ultimately can also help you raise funds from your investors. Sky-High also provides rapid prototyping services for Startups, by helping them mold their ideas into incredible, fully interactive prototypes for Web, and mobile apps for the iOS and Android platform. Schedule an introductory call with our team. Share the details of your app and get to know more about our process, relevant work, and team. Meet with our product team to discuss the scope of the project. We will discuss strategy, pricing, and timelines so you can determine if we are a good fit for your needs. Take your prototype and show it to friends, stakeholders, and investors. This gives you invaluable feedback for your concept without any commitment. Once you’re satisfied, you can reserve a spot in our build schedule. Based on the feature set outline, our design team will put together a low-fidelity prototype. 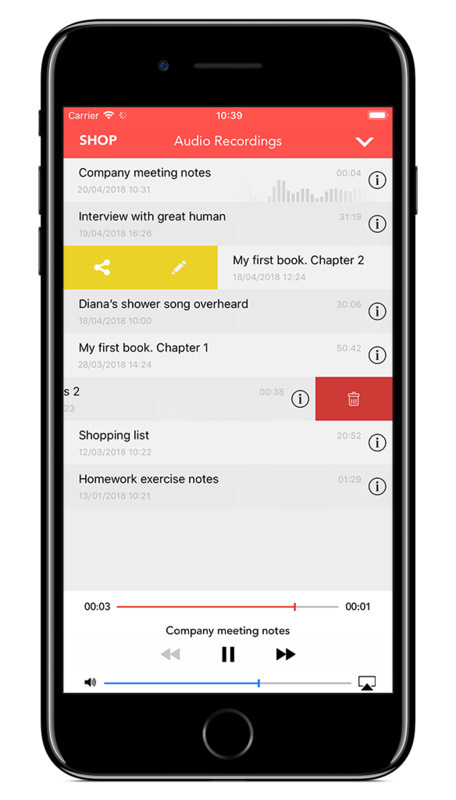 This will give you a good idea of how the app will eventually function, and you can decide if it meets your expectations. With responsive layouts, your page is no longer left to its own devices. Such a technique attempts to adjust the layout to the great variety of screen environments. Rather than working with only the "most common" display dimensions and an "average" user, a responsive layout adapts to different viewing conditions and user requirements. By introducing alternate layouts tuned to each resolution range, we can enhance the overall viewing experience. "Project prototyping is an act of creating the working model of the future product. This process is crucial both for the client and the team of developers." We’ve observed enough product failures to realize that only human-centered approach to innovation matters. Just like a smart builder creates a detailed set of blueprints before laying a single brick, our strategy and prototyping process enables us to dig deep, test new ideas, and gain stakeholder approval before investing in full implementation. We can create a clickable prototype for stakeholder feedback and user testing. Prototyping is available as part of a more massive project or as a standalone service. We believe clients should have a clear picture of their project & its understanding. We at Sky-High endow transparent communication regarding project development process through a prototype that helps them to understand about their ongoing project. We work toward creating high-fidelity prototypes that fully allow our clients to visualize their product. Our mobility strategy consulting services include requirements definition, user research, roadmap, and proof of concept. We assess customers’ mobile opportunity and recommend effective solutions tailor-made to suit their requirements both in the short term as well as long term. App development, distribution, and support are other important aspects of developing strategy. Have you ever looked at a product and said, “That’s so simple and easy to use. It must have been a breeze to create.” It’s a normal thought because simplicity often speaks clearly to us. However, the reality is that what you see is likely the result of weeks or months of going from idea to testing, and back… until things become clear. What can become clear are things we feel from a product like value and delight. It takes a process, bravery, and collaboration to make a great product. From zero to 1 week, our team can help you quickly define, and build a prototype for your new Minimum Viable Product (MVP). Using a structured and highly collaborative approach, we work in a sprint-like fashion to define user goals and prototype starting day 1 to bring your idea to life. At the completion of the sprint, your team will have a simplified InVision prototype to showcase key functionality that illustrates your idea. Remove the risk before you even start. We conduct user research to validate your idea and assumptions, so you don’t waste time and money building features your customers won’t use. At Sky-High we design, engineer and prototype products for inventors, entrepreneurs, startups, and large companies alike. Our flexible development process gives you the opportunity to develop innovative products always focused on creating a meaningful user experience. Right from concept, development to designing, we have you covered at all stages. Our team is expert at implementing prototype development best practices. We use proven methods to obtain high-quality requirements documentation. This process entails interaction with appropriate stakeholders to gather business requirements, analysis, and prioritization of requirements and creation of specifications that would be fed to the next stage of the lifecycle. The analysis is the process of brainstorming, developing, and communicating new ideas. In most cases, the quality of the final product depends on the ability to analyze revolutionary ideas and test. We help you verify concepts or theories and its potential for real-world application. Our team allows you to understand technical viability whether your idea is workable and scalable. Considering the growing importance of analytics, our team delivers architecture prototyping and technology validation services. Our prototyping services offer a quick way to check the proof of concept, evaluate against key scenarios, as well as check deployment restraints before beginning the next iteration of your solution architecture. Risk identification involves the process for identifying and analyzing potential project risks that can adversely impact the project delivery. This step minimizes risk throughout the project as the pointers for risk identification can be used for effective risk analysis to reduce uncertainty. Our team follows an iterative process that helps identify risks throughout the project duration. Iteration is crucial to building great products and our team builds a prototype until the idea is perfected. Our team uses a highly iterative approach for building user-centric interfaces with a meticulous examination of use cases right to testing activities in UI prototyping stage. With our prototype testing, we get user feedback even before coding begins. 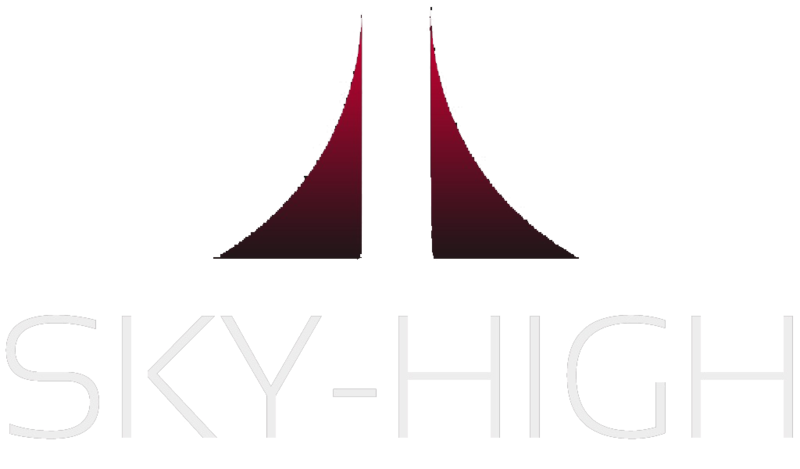 Sky-High is very committed to helping its clients reach their business goals smoothly, by providing an innovative environment, and making a difference adding value to our clients' businesses.